For the purpose of what follows I am assuming that Jeremy Corbyn (JC) will win the leadership contest, which now appears very likely, and that Labour does not split or collapse into a state of civil war, which is somewhat less likely but will hopefully be the case. Given the division within the party it could be assumed that this reflects widespread and fundamental disagreement over most policy areas, but in fact this is not the case, as is indicated by the policy proposals put forward by the two candidates, which in most respects do not differ markedly from each other. This is partly because there has been a general shift, not confined to the Labour Party, away from neoliberalism and towards some degree of greater state intervention, and partly because, despite his radical left image, JC’s policy proposals have usually been well within the confines of moderate social democracy. If this is so there should therefore be no great impediment to achieving unity around a programme based on significant reflation, investment in housing, infrastructure and green technology, reinvigorating and reversing the trend to privatisation in the NHS, welfare, education and public services generally, promoting higher living standards and better working conditions and trade union rights, renationalising the railways, promoting greater equality materially and for particular groups, and greater democracy through Lords reform and local devolution. In all of these areas, while there will certainly be differences, they are unlikely to be fundamental. However, much work needs to be done on the integration of health and social care and the related issue of payment for residential adult social care, as well as the change back to local authority control of school education. There are other policy areas which are important but do not have to be decided now. These include proportional representation, which the left and the party generally are divided on, and for which, as indicated by the 2011 alternative vote fiasco, there is little public support, but it is linked to the proposal for an electoral pact with some of the smaller parties, and for that reason needs to be considered well before the election, as does the issue of winning back the Labour vote in Scotland, or at least starting to. But this leaves a number of key policies which need to be determined soon. The most pressing issue is Brexit, along with the closely related one of immigration. Brexit is the issue over which Corbyn heavily lost a no confidence vote by MPs, although that, quite apart from the stupidity of calling for such a vote, was grossly unfair in that Corbyn had more or less carried out what he had agreed to by way of campaigning – even Angela Eagle admitted as much. The useless official campaign run by Johnson was a key cause of the failure to pull out more Labour votes, although as election guru John Curtice has told us Labour actually did quite well here. It is not clear what May quite has in mind (beyond the obvious and laudable aim of completely discrediting Boris), but ‘Brexit means Brexit’ is not as straightforward as it sounds. Indeed it’s all a bit Alice in Wonderland (‘But what does Brexit MEAN?’, asked Alice. ‘Shhh’, said the Queen,’you’ll give the game away’). And there will doubtless be plenty of games being played, but Labour, and I write as someone who took a strong remain line, should oppose the elitist and patronising second referendum line being advocated by Smith, as nothing could be more likely to alienate those Labour voters who voted leave and encourage them to transfer their loyalties to a reinvigorated UKIP Mark2. Labour’s line, and as I understand it JC’s line, should be that it respects the democratic decision of the people to leave, but that it will strongly fight to maintain the working conditions and rights previously guaranteed by the EU, and that it will argue for a settlement that supports the living standards and jobs of ordinary people rather than vested interests. On immigration, while we want no more odious mugs or attempts to compete with the thinly veiled racism of UKIP we should recognise that there is nothing particularly sacrosanct, or socialist, about the free movement of labour, and that there are legitimate concerns about pressure on services and the undercutting of wages that arise from immigration that should not be dismissed as excuses for racism. Having said that we should ensure that Labour is to the fore in supporting minority racial groups against the increase in racism that has been a feature of the post referendum period. It is clear that the Tories are already falling out over Brexit and immigration, and Labour must take full advantage of that by positioning ourselves as the defenders of the interests of the mass of ordinary people as opposed to those of big business. Brexit will be the central political issue for the coming year and key to Labour’s recovery. If it becomes apparent that Brexit is likely to result in a large loss of jobs in industry and finance then Labour should of course pose the question of whether that is worth leaving for, but that is very different to demanding a second referendum now. Trident remains a problem. It has featured very little this year, due to the referendum and the leadership election, but Labour’s disarray was on full display in the debate that was staged to coincide with May’s coronation. 140 Labour MPs voted for renewal, 47 against. A handful abstained, the proper way to have voted in my view as the Defence Review had not been concluded. This cannot continue. No matter how well we hopefully do on other issues this must be resolved if we are to recover the support that we need. That will now not be possible at this conference, and it would be foolish to attempt it, but Emily Thornberry’s Defence Review must be continued via widespread debate both within and outside the party so that a decision on Trident can be determined at the 2017 conference. On Scotland there is, I believe, undue pessimism. It seems to have been generally accepted that the SNP have for most Scots replaced Labour as their social democratic choice for the next generation, and there’s little that can be done about it, beyond muttering, quite rightly, that it can’t be blamed on JC because it began before he came on the scene. However, despite Brexit there is no renewed demand for independence, and the SNP’s dazzling ability to face all ways at once, (and fool a lot of the left who should know better) is beginning to wear rather thin, and a renewed challenge by Labour should not be ruled out, although it probably requires a greater talent than Kezia Dugdale can provide. We need to win back votes from UKIP and the Tories, and from the Greens, Lib-Dems and Plaid, perhaps via an electoral pact, but the key to success in 2020 will be developing policy and that must proceed without delay. Finally, I can find no record of JC or Smith wanting to abolish grammar schools. If one or both of them have, can someone give a reference, if they haven’t, why not? With Theresa May advocating a new generation of grammar schools as a major contribution to tackling all our problems surely both our candidates can agree that they do not quite see it that way. Posted in: Education, Europe, Labour, Politics. Your opening paragraph, unfortunately, sets out two premises which are so fundamentally incorrect, that what follows is interesting, but ultimately irrelevant, in my view, Peter. Firstly, you make the , you admit, uncertain, assumption that Labour will not split. Sorry, but this is pure wishful thinking by the “old guard, long embedded Labour Left” , Peter. The Party HAS actually split already, politically . The “Coup” and the complete withdrawal of participation by 172 Labour MPs and Labour in the House of Lords , with Jeremy’s Leadership, was that split taking place. Some MPs will undoubtedly return to the fold after his decisive Leadership victory – but most will not – and an alternative PLP “provisional Party structure” will operate from now on until the informal split is resolved organisationally. The Party civil war is, and will be, still in full swing. Secondly you cite Owen smith’s extraordinarily cynical faux Left policy filled Leadership bid as evidence of a genuine retreat from neoliberalism by the PLP. Not so, Peter, this is just a self induced delusion of the old guard Labour Left – as always looking for “evidence” that the utterly irreconcilably pro Big Business Right are “coming round to the Left perspective at last”. In fact the underlying total cynicism and contempt for the membership’s intelligence of the Labour right in putting forward the actually utterly Right wing sophist, Smith, as a bogus “Bevanite” Left winger, showed just how unprincipled the Right are. Does anyone really believe that if Smith had won, a single policy element of his Leadership bid would be retained by the newly restored Smith-led PLP ? 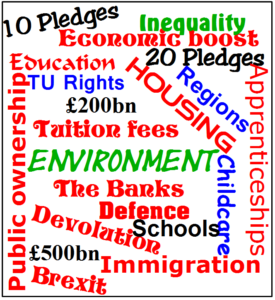 There is a mountain of detail policy development required for a Corbyn-led Labour Party to have election winning potential – a Left strategy to deal with the key issue for millions of Brexit supporting potential Labour voters, of unlimited free movement of labour, for one . The policy “answer” is a commitment to radical comprehensive economic Planning – in which capital movement and labour supply are both key components of a sectorally and regionally rebalanced economy. But to seriously imagine that a “compromiser/reconciliation” with a major element of the entirely in the pockets of Big Business Labour PLP Right, is possible on terms that will preserve the new radical left Keynsian “Corbynist” direction of the Party, is pure self deception. John, you say that the party has already split and that “… the complete withdrawal of participation by 172 Labour MPs and Labour in the House of Lords , with Jeremy’s Leadership, was that split taking place”. Doesn’t this way of seeing things tend to reduce the party to the PLP? If I look at my own branch and Constituency Labour Party then things do not seem as you describe. The CLP backed Corbyn by 2:1 with maybe 15 to 20% of the members voting. The left is stronger than it was before Corbyn’s election but it is not in a position to run most of the branches or to provide enough people to stand as councillors. Do you think that generally the left is in a position to do these things? And then there is the question of policy preparedness nationally and locally, let alone the vexed question of the basis on which such policies should be made. It is not a question of lacking the will and audacity (some of which is always needed) but of saying that a would-be army that lacks both clear objectives and has no road maps is likely to make any major battle taken on look more like a suicide mission. Rather than relishing the prospect of a split in present circumstances we should do everything we can to hold the party together (while idolating the committed disrupters) around increasingly clarified policies – which is what Peter Rowlands argues for here. P.S. You say that thinking that party unity is possible on what you call “the new radical left Keynsian ‘Corbynist’ direction” is “pure self-deception” but you give know reasons for this claim. I was also somewhat surprised to see you arguing, in effect, that Keynesian managed capilalism is a radical left approach. Does this not involve a degree of sel-deception? First, because this is the tradional social democratic alternative to socialism. Second, because it open to question whether the conditions today are as favourable to Keynsian policies as they were in the pist WWII period. Third because these current state of these policies is so undeveloped that we don’t even no what the approach is to the free movement of capital (which Keynes opposed on the grounds that it would obstruct the “radical comprehensive economic Planning” you call for. There seem to be two questions here: whether a split is already in the process of occurring and whether a split is something which the Left is strong enough to come out of. In this post (not in posts elsewhere, I know) John seemed only to be addressing the first point, whereas your reply looked primarily at the second. If a split is occurring (and is thus likely inevitable) then we might as well get it over with as far before the next election as we can, to minimize the chaos internal to the party and give the Left as much time as possible to rebuild. If a split is not inevitable, then the question becomes how much are we willing to compromise for the sake of unity. At this point we we are confronted by the fact that, until we start drawing up detailed policy, we won’t know what the centre would be willing to accept. To be clear, I do not claim to know the answer to either of these questions, especially not the first. Your post script also raised some important points, some of which need to be addressed towards the leadership as well. How much room is there today for Keynesian economic management? How do we ensure it is the path to something more rather than a limit on how far we go? I think one vitally important component must be greater focus on democratising the state and the movement. If the only industry Corbyn nationalised were the railways, but a democratic means of running them were developed (involving worker self-management, public participation, etc.) then that alone would make this a greater success than all of Atlee’s nationalisations put together. If such a model worked then I think it would be very popular and cause a lot of people to ask why more of the economy wasn’t run that way. The trick, of course, is figuring out what such a model would actually be. On your first point, David, The overwhelming majority of the PLP ( and, I think equally, perhaps even more, significantly, the mass of Austerity-implementing ,Labour Councillors in Labour controlled councils, nationwide), are now so distanced in basic political outlook and political practice (ie, utter habitual collaboration with the Austerity status quo), from the overwhelming mass of now anti austerity oriented, Left-leaning Labour members, as to form two entirely , unbridgably different, political parties. It’s a totally weird , “transitional” situation, utterly different in quality from the internal differences in previous eras of our “Broad Church” Party, certainly since the 1930’s. As you repeatedly say, and I repeatedly agree, the currently pathetically unformed level of Left policy development around the utterly unexpected “Corbyn Surge” , seriously undermines our ability to concretise the Left’s fundamental ideological and policy breach with New Labourism/Blairism. Nevertheless , even the generalised Corbyn Leadership bid “outline policy aims” 0f both 2015 and now, expose that (despite the entirely bogus faux Leftist rhetoric of the utterly cynical Owen Smith campaign) the PLP majority, AND the majority of Austerity implementing Labour councillors cannot and will, not fall in line with the Corbyn-led Party’s Left policy direction. Your response, perfectly understandably is that , “If this means a split , then electoral disaster beckons in 2020”. Yes it does , for 2020 at least. But then , the alternative , to retreat from the pretty mild , welfare state supporting, Left Keynsian, “Corbynist” agenda , back to chasing the marginal seat “swing voter” via the old Tory Lite political gimmicks , and continuing to implement Austerity, particularly at local government level, would indeed get the PLP majority back on board, and Labour councillors. BUT it would immediately decimate the Party membership of course, and would NOT reverse the disastrous electoral decline of Labour, despite the self delusions of the Labour Right. So, there is no actual alternative to a fundamental organisational split to match the already established political split in the Party, between the PLP /Councillors versus the mass of the members. The sooner we do it – the quicker rebuilding Labour as a cohesive radical Left of centre Party can begin. Lastly, on Left Keynsianism. Specific historical context is everything. TODAY, A mildly reformist menu of limited nationalisation, greater direct and indirect control of the banks, rebuilding of the Welfare State, freeing the trades unions to do their collective bargaining job, getting to grips with tax loopholes, restricting capital and labour flows, and wrapping all this into a comprehensive national Economic Plan , is hugely confrontational with domestic and global capitalism. It wouldn’t have caused Harold Wilson to even blink – but today, such a mild neo Keynsian approach is hugely radical, and will undoubtedly lead any Left government , with the essential mass support to implement it, into increasingly radical defensive measures in response to the “market blowback” it causes. Or to total retreat of course, as with the 1964 Wilson government, the 1984 Mitterrand government, and Syriza very recently. 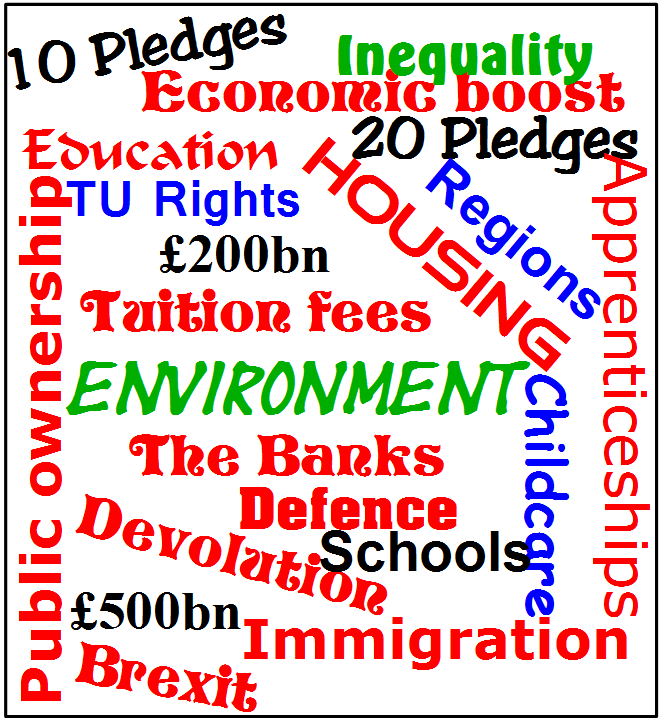 To even set out on such a radical Left neo Keynsian course does actually require “Corbynism” to have a joined up strategy and policy “bundle” of course – rather than just a “Green Party-like”, “stack em high” series of disconnected “desirable policy objectives” ! Your description of Labour councillors is unfair. You fail to recognise the valuable work they do in the face of a hostile government and the impossible situation they are put in by the DCLG. I don’t agree that the majority of members are “so distanced” from the “utter habitual collaboration” of most Labour councillors that accomodation with the new left-leaning members is impossible. There are many Labour councillors and MPs who have felt trapped in the dominant narrative because of the lack of a viable alternative. At the very least we should be looking to test the support and commitment of councillors (and MPs) given the opportunity to support a platform if robust left policies. To talk of them all as a great reactionary mass before doing that doesn’t seem like good politics to me. I don’t agree that “the generalised Corbyn Leadership bid “outline policy aims” 0f both 2015 and now, expose … the PLP majority, AND the majority of Austerity implementing Labour councillors cannot and will, not fall in line with the Corbyn-led Party’s Left policy direction”. All the “outline aims” are backnof an envelope stuff which is just not enough to convince the unconvinced. I have not suggested anything resembling Labour’s old centrist “chasing the marginal seat ‘swing voter’ via the old Tory Lite political gimmicks”. For the above reasons I do not agree that “there is no actual alternative to a fundamental organisational split to match the already established political split in the Party”. I agree that a Keynsian policy that seemed normal in the 60s can seem challenging in 2016. The question is whether it can work in the current globalised context. With the collapse of the post war consensus in the 70s capital controls were removed. Also the banks and financial institutions have become more powerful. That is today’s context. So, I my view (I am no economist) it would be entirely possible that the attempts of a left government to refloat the economy could be massively undermined. If so that would leave its truncated Keynsian policies in tatters. That is why I think that Labour policy must have medium and long-term objectives that look beyond managed capitalism. So far it has no such objectives and all McDonnell’s remaining economic advisors remain restricted to the view that capitalism is the only possible game in town. This should surely be regarded as a problem for those of us who think that socialism is something rather more than well managed capitalism or “capitalism with a human face” to quote one-time Tory PM Ted Heath. You suggest that the challenge to capital posed by even the mild Keynsian policies proposed would set up a struggle which would lead to the need to mobilise around increasingly radical policies. To me this looks like a “wing and a prayer” approach to social revolution. Given that those mild Keynsian proposals are no more than back of an envelope stuff and given the complete lack of any common understanding of economics in the left I suggest that a far more likely scenario for a left government hitting major economic sabotage would be disarray and confusion leading to a Syriza-like capitluation to seemingly overwhelming forces. These problems highlight the importance and urgency of the policy (and I would add theoretical) work that Peter Rowlands calls for. There is still little sign of this being taken up by the pro-Corbyn side. If this doesn’t change I fear that it will all end in tears. At our CLP meetings we’ve had some enthusiastic proponents for electoral reform. Perhaps it’s time to put it back on the agenda. I would certainly agree it should be put back on the agenda (I await being brow-beaten by certain contributors). I think one of the reasons there was a lack of enthusiasm around alternative vote was that it was a poor choice for a voting system. It could give weird results and was only a “miserable compromise” for proportional representation. I agree that Alternative voting was not very proportional. However many supporters of proportional voting use this terminology for what they really want which is not to waste their first vote by gaining the value given to a second vote as all PR systems use the distribution of a second vote to count towards the eventual winner when more than half the votes have not been secured. I personally think this factor is the one which could exclude the Tories from government. What will the dictatorship of the proletariat do? When the working class seizes power in Britain what will its dictatorship over capital do that will facilitate the transition to socialism? 5. It will replace the Westminster Union and Parliament with a Federation of Sovereign Nations run through the organs of the proletarian revolution whatever form they may take. It will seek a New European Settlement for a Socialist Europe with like-minded thinkers in other European nations that will not treat workers like migrating cattle but will only lift all border controls between the nations when we can be sure that the misery of mass economic migration will not ensue. We will eschew the mutual strangulation of the member nations that being in the capitalist EU implies and replace it with co-operation. We will end the aggressive imperialist relationship of Europe with Africa and the Middle East in favour of co-development. It will ultimately seek a global commonwealth of socialist nations that will transcend decaying, collapsing, dying capitalist globalization. These are just the bare bones and main points of what the dictatorship of the proletariat will do but they will set our species on the next leg of its journey leaving all the `old crap’ of exploitation, slavery and war behind. The alternative is to remain in the capitalist coffin with the decaying corpse whilst the grave is back-filled with concrete: a New Dark Ages. Marx told us that no mode of production leaves the stage of history until it has completely exhausted all of its potential and inner resources. We have now reached that point and all of the achievements of the past are now threatened. It is as it was prophesied it must eventually be a case of socialism or barbarism. I am disappointed that no one has actually commented on my view that it was urgent that Labour hammers out a convincing policy with regard to Brexit, immigration, Trident, Scotland and some other issues. The main criticism has been by John Penney, essentially denying that there is any basis for unity and that a split has already occurred, and needs to be formalised so that a left party can be built that might succeed in 2025. This is nonsense. A split would be electorally disastrous, and could disadvantage the left for a generation.It is also the case that under FPTP Labour must remain fairly broad, although that should include a left Keynesian programme of the kind both I and John have suggested. A proper socialist party can only be built post PR. John does not distinguish between any of the ‘no confidence’ MPs, meaning that they are all in his view fake left neo liberals. Paul Mason took a more sensible approach, seeking to divide the ‘soft left’ from the right, and the attempt to do so must continue. It is absurd to assert that there are no political differences among these MPs. To also write off all councillors as on the right is equally absurd, and John must have missed the prolonged debates that took place post 2010 on this.The main position held by left wing councillors (hundreds signed a statement supporting JC) is I think that of the ‘dented shield’, recognising the difficulties of opposing cuts, but remaining in post, seeking to protect services and at the same time encourage opposition to the source of cuts. There are a range of other points that David Pavett has replied to and with whose responses I broadly agree. I think we all agree on the necessity of a well worked out left Keynesian programme. If a split happens the chance of such a programme being attempted even in 2025 is not good. Meanwhile I did suggest that there were some policy areas that Labour needs to urgently consider. Peter, I did refer briefly to the importance of your call for the development of policy although admittedly I didn’t pursue any if the specific issues you mention. So here goes on one of them: grammar schools and selection at eleven. Labour was always half hearted about comprehensive i.e. non-selective education. This half-heartedness became outright hostility in the Blair years when his spokesperson felt able to refer disparagingly to “bog-standard comprehensive”. When Labour Education Minister David Blunkett said “Read my lips, no selection” he had to explain later that he meant no Increase in selection over what we already had. And even that wasn’t true. Jeremy Corbyn did well in gramnars at PMQ thus week. But, his team has done nothing to develop education policy which therefore remains in the poor state it was in under Miliband. The Tory moves to encourage more grammar schools gives a tremendous opportunity to Labour to lead a broad opposition. Many Tories know that the policy wrong. Labour needs to decide clearly that it is opposed to selection in state schools at eleven. It then needs to look at the different forms of selection and work out a programme for unravelling them. This is not an easy issue and requires a lot of work. Labour’s Children and Education Commission should be charged to do that work once the general policy is agreed. Finally, work should go into (1) raising awareness and understanding of the issues by Labour Party members and (2) doing the same for the general public. To these ends Labour’s educational affiliate the Socialist Educational Association should be given a place on the Education and Children Policy Commission. Thank you David, an admirable response, I hope tht Angela Rayner has noted it! While I don’t take such a hardline view as John Penny, I do have to wonder how viable the broad church is. Throughout Labour’s history, it has relied on the willingness of the left to toe the line and go along with the centre and the right. When the left actually looked able to make gains, the right raised hell for everyone. I don’t see how this can be avoided when the broad church contains people with essentially irreconcilable objectives. Now, I agree that damage can certainly be minimised by reaching out to the soft left, but none of us know how many MPs and councillors that will actually include. Furthermore, I don’t think we will ever be able to get the Blairites, or quite possibly even the old right (although in their case this is more due to a lingering hatred of the Left than to policy disagreements) on board. Even a split of 30 MPs, which seems difficult to avoid without completely giving up on even mild Keynseianism, would be hugely damaging. We have to very soberly confront the question of how much are we willing to compromise in order to maintain party unity. We also have to ask how much is party unity worth if it means constant infighting. I don’t claim to know the answer to these questions, because all I see are bad options. I’ll follow David’s lead and address one of your policy areas. This will be in a later post, as I need to go to dinner soon. Fair comment, although until the JC ascendancy the left were never, except in the early 80s, in a strong position. Ultimately it is a question of judgement, but that should be based on an appraisal of the facts which I have claimed that in significant ways John’s is not.Your’s is, in that you recognise the differences between the soft left and right. I believe that it is possible for a left led party to win in 2020 on a popular social democratic programme, although a section of the right would not find that acceptable and would have to go, although they would probably recognise the futility of setting up a rival party. This may not work. A constant war of attrition may prove to be just as damaging as a major split, but my judgement is that some compromise based on unity is the only credible way forward. This much vaunted distinction made by the old guard , lifelong embedded, Labour Left, between the “Hard, irreconcilable, Right” and the supposed “Soft, winnable, Left” in the PLP, is an utterly self-delusionaL hangover from the pre “Corbyn Surge” era of our Party. For the last 25 years at least, those Left Wingers who didn’t simply give up on the neoliberal NuLabour Party of Kinnock/Blair/Brown, as did so many tens of thousands of “Post Corbyn Surge returners” (like myself) , have kept their political spirits up with a constant self-deluding political practice of trying to “win over the soft Left” in the PLP. Hence every apparent “progressive ” posture or even kind word for the Left has been seen as “evidence ” that the Left cause wasn’t entirely lost. This self delusion accounts for including the likes of Ann Black as a recommended NEC candidate for the Left Slate, and backing Angela Eagle for Deputy Leader ! It is also the basis for the ludicrously analytically wrong ” who’s with us, who’s winnable, who’s irreconcilable” listing leaked to the press. The fantasy that about 75 MP’s could be seen as in, or near, the “Corbyn Camp” was soundly exposed in the recent “Coup”, and the even more recent PLP vote to return to elected a PLP Shadow Cabinet . In fact the “Corbyn Camp” accounts for no more than 40 MP’s ! Add to this the utter , overwhelming dominance of Right dominated Labour Councils across the UK. Please spare us from the ever-repeated “Dented Shield” excuses ! The “dented shield , broke decisively during the Austerity assault on local Government of the Tory/Lib Dem Coalition. In many ways the “Dented Shield” actually broke politically during the local government budget cuts of the 1980’s , when all the supposedly “radical Left” Labour councils committed to not setting a cuts budget (eg Ted Knight, Ken Livingstone, et al) capitulated , and left the Militant-led Liverpool Council to be isolated and destroyed. Today, Labour Councils across the UK , and the Labour administration in Wales, are just so abjectly carrying out the devastating new wave of terminally damaging budget cuts, that the “Corbynite Left agenda” is being actively discredited, on the ground, long before we actually have any influence on the agenda of local councillors at all. Sorry , comrades, but all that your habitual, invocation to “compromise with the , mythical soft Left in the PLP” in order to “safeguard the chances for victory in 2020” through achieving “renewed Party Unity” would do, is water down further the already very mild “Left Keynsian anti austerity, agenda of “Corbynism”, so as to cause the very fast exit of almost the entire “Corbyn influx” from the Party, and guarantee a total, “Scottish-style” wipe out of Labour at both local level (already starting to happen), and in the next General Election. I am not for a moment denying that a split Labour Party can win in 2020 . But the fact is , now, entirely because of the, surely self-evident, totally dedicated permanent opposition of most of the PLP, and the Party machine, and the bulk of the leading Labour Councillors in Labour run areas, to a genuine Anti austerity political/policy agenda, we will be wiped out in 2020 on any agenda sufficiently “compromised” to win back the PLP majority, anyway. (and don’t let us believe for a moment that the required “compromise” would include either Jeremy or John McDonnell staying as leaders for long). I agree. The PLP “soft left” does not exist. The voting figures for the coup prove it. The idea of compromise is likewise delusional. The right wing MPs do not seek compromise, they seek only Jeremy’s removal and with it the resumption of complete right wing control over the Labour Party for neoliberal and corporate ends. Compromise does not work since the right wing does not actually accept it. For example Jeremy’s support for the EU was itself a compromise, which came about three days after he became leader presumably at the behest of his parliamentary colleagues. That compromise did absolutely nothing to prevent the coup. Indeed Jeremy’s EU campaigning efforts became one of a number of pretexts for it. Since the possibility of ‘compromise’ does not exist, it is irrelevant to the chances of securing a Labour victory. We would be better off seeking to eliminate the right wing of the PLP from the Party since that would at least result in the Party becoming both more united and more coherent. To that end the notorious “deselection list” was too modest: it should contain the names of all 172 MPs who joined the coup against the party members and their right to hire and fire the leader. Can I firstly completely support David Pavett’s reply to John Penney.Indeed I find it amazing that someone (John) with a sophisticated understanding of the policies Labour needs to develop has no understanding at all of how to get Labour in a position to implement those policies.Indeed you fall at the first hurdle, by accepting that Labour cannot win in 2020 following a major split. You fail to recognise that the defeat, probably heavy, in 2020, of a Corbyn led party, perhaps up against a ‘True Labour’ party or a revived ‘Alliance’ ( watch Paddy Ashdown) will then allow a purified Labour Party to steadily build for victory in 2025. This is nonsense. What would happen is further division and fracturing, with little hope for a successful left challenge in 2025.Do you seriously think that such a scenario is credible? There is only one way forward, which is to avoid a split and build around a growing consensus for social democratic solutions.This may not work, but it has a chance. Your solution definitely won’t. John, according to you there are only “hard, irreconcilable, right”, “utterly” deluded people who didn’t leave New Labour and “post-Corbyn returners” (i.e. (1) bastards, (2) delusionists and (3) real lefties). You think including Ann Black on the NEC left slate counts as a delusion of the misguided left. That counts out the CLPD and other organisations that drew up the list. You say all councillors in the 80’s except the Militant-led Liverpool council were useless and that today most councillors and all the 172 MPs are beyond the pale and must be removed. Who is going to “do the removing and replacing is not clear but it is presumably members of the elect i.e. post-Corbyn returners. No one in your “delusional left” is proposing to “water down further the already very mild Left Keynesian anti austerity, agenda of ‘Corbynism'”. On the contrary some are suggesting that a more thorough and rigorous policy is needed. Your solution is that the “old stagers” need to “man up” (interesting expression) and no doubt follow the lead of the more enlightened “returners”. The classification into bad guys, delusional dupes and good guys is not only ridiculous but even leaves no place for Corbyn and McDonnell. The idea that there are not many shades of grey between the hard right and the radical left is an absurdity. It is what happens when political thinking is dominated by narrow generalities which instead of guiding thought to more detailed investigation of reality act as a substitute for such investigation. John, you are assuming things that you do not know for certain. It may well prove to be the case that the vast majority of MPs will refuse to support Keynesian policies. However, until we actually are able to present such policies to them, we’ll never know for sure. There is no harm in trying to see if we can get them on board, while being willing to suffer a split if we can not. Come on now, C Mac ! If this was September 2015 your hopeful statement would be valid. But it is September 2016 now, after a year of unremitting sabotage by the PLP majority ! Jeremy’s policies are outline only, but even that outline anti Austerity , Left Keynsian agenda is quite clearly totally unacceptable to the Coup plotters and their Big Business backers. What possible compromise could the Left make that would leave our Left agenda in place ? There is a no holds barred civil war in our Party, but you still think the Labour Right will play fair and work with Jeremy in line with the mass membership’s chosen Left agenda ? As I say, you may well prove to be right. However, the vast majority of the sabotage came from a minority of MPs. There were many others who more or less stayed out of the fray until the coup. Ed Miliband would be one example. I’m deeply unimpressed by those (such as Ed) who voted against Corbyn in the coup, but I’m not convinced they are all irreconcilably opposed to a Keynseian policy. I think for many of them it was a case of mass-hysteria and the self-fulfilling prophecy that “since Corbyn is not able to unite the party, we have to vote against him.” I’m not thrilled to be sharing a party with such people, but if a they can be kept without having to abandon Corbyn’s general policy direction (a big if, I admit) then we should do so rather than introduce the chaos their leaving would entail. I wouldn’t say I’m optimistic about the prospect of this happening (it would be the first time anyone had called me an optimist) but I’m not massively pessimistic, either. I’m more agnostic. What I’m more concerned about is what the Blairites have been up to. They have been eerily quite for the last few months and have been supporting a candidate who’s policies we know they oppose. There have been groups set up around them with some big donors, but we haven’t heard what they’ve been doing. I suspect, as Paul Mason speculated, they may be trying to come up with some legal chicanery to keep the Labour brand and assets. Another possibility is planning to take over the Co-operative Party (which I saw, perhaps ominously, is now planning to develop policy independently of Labour). I highly doubt we can prevent these MPs from splitting (not do I particularly want to). Unfortunately, some of the more borderline MPs may follow them should this happen. In any case we should make every effort to marginalise and deselect them given the first opportunity. Pitiful how gullible some comrades are. I am amused that today my coup-backing Labour MP (who never misses an opportunity to tell CLP members to choose Owen Smith, Sadiq Khan etc etc) has re-started the Tribune Group, or as one wag rightly suggested the Please Don’t Deselect Me Group. @C MacMackin (September 18, 2016 at 5:27 pm) I agree with you.